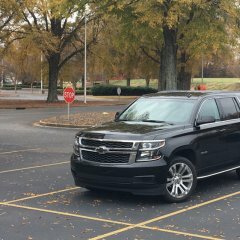 About a month ago I purchased a 16 Tahoe LTZ with 37,000 miles. My driver side seat cooling works great on both the seat and the backrest. But on my passenger side I noticed that the seat section does not cool at all only the backrest is cool on that side. I’ve compared it with the driver side and I’m convinced there is an issue. Can anyone provide some insight as to what could be wrong? Are there 2 separate fans for the backrest and the seat? What should I look for and try before I take it in for service? Thanks in advance. I am going to look at a 2001 Chevy Tahoe tomorrow that I think I can pickup for a pretty decent deal. He originally had it posted for $4500 and has been reducing the price slowly. I've been talking to him the last couple of days and I think I can pick it up around $3000 +/-. It's has a Magunson MP112 supercharger installed, all leather, 200K miles, and the body looks to be in excellent shape. The interior seems to be in fair condition, with some minor wear and tear. He said recently it threw a check engine light for a random misfire on cylinder number six at idle. He did a tune up on it thinking it was bad plugs/wires but it still is present. I talked to my buddy about it and he think's since it is only at idle, it's probably a lazy injector which I agree. It hasn't been for sale that long but I think the way he has it listed, it is hard to find so that's probably why someone hasn't picked it up yet. I found it by accident honestly lol. Does this sound like a pretty decent deal if everything checks out? Also, is there an easy way to test the injector? I can bring a code reader from work but he seems like a pretty honest guy. The mileage doesn't really scare me if it has been maintained well. Hell my 2005 Silverado 1500 has 219K on the clock and I drive it everyday and wouldn't hesitate to take it anywhere. He also just had new tires put on which tells me he was planning on keeping it at least for a little while otherwise he wouldn't have wasted the funds for that. For me that is kind of a tell tale sign if it's a decent rig if someone is willing to spend the coin on some new skins for it. Reason for sale is supposedly to free up some cash. Let me know your thoughts, I'd sure appreciate it. John Goreham Contributing Writer, GM-Trucks.com 10-9-2018 U.S. News & World Report is run by and staffed by colleagues of GM-Trucks.com. Each month they scour the best deals in the country to list out the most notable. This month, GM products earned spots on two of their lists. The 2018 Acadia is on both the 7 Best Cars to Buy Now and also October's Best New Car Deals. 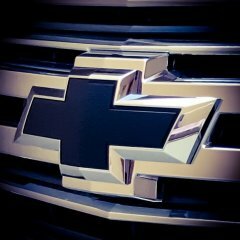 U.S. News Autos reports that GM is offering $4,000 cash back on that popular model. The 2018 Chevy Tahoe appears on the second list for its special offer of $3,000 cash back if buyers finance through GM. I have a 2004 yukon with a slight oil leak. Not sure where it’s coming from bu found a small hairline crack in oil pan. What’s the best way to remedy this? Weld it, epoxy it, or replace it? Is it even an issue if it’s a small leak or can it catastrophically fail one day? OEM CK164 22" Wheels and Tires Package GMC Sierra Yukon Chevy Tahoe Silverado etc. 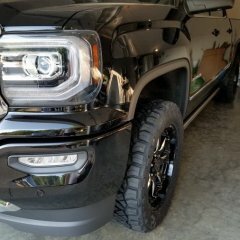 Taken from a 2017 GMC Sierra Denali Ultimate - - 22" GM CK164 Wheels and tires package for sale. 4 wheels, 22x9 aluminum + 4 tires + 4 TPMS sensors installed + 4 tires mounted + 4 center caps TPMS sensors and Lug Nuts INCLUDED OEM wheel part number 19301164 7-spoke silver with black inserts and they retail about $500 each. 285/45R22 Brigestone Dueler A/T RH-S tires have 30K on them but they definitely still have some life left in them - I don't have a tire tread gauge or I could tell you the exact depth. All parts listed here are OEM Factory parts unlike the cheap knock-off replicas you find on the internet. Located in Columbia, Missouri. $1800 OBO EDIT: I would consider shipping them if buyer pays for shipping, up front and payment clears. I did a quote through Greyhound Package Express and it is roughly $400 to ship them to the lower 48 states, give or take depending on your location. If you choose this option, you will have to be patient with me shipping them as I will have to drive 2 hours each way to get to a Greyhound shipping location. Ok I just bought an 02 Yukon 4x4. It has push button 4x4, 4 low, 4 high, 2 high and auto 4x4. I pressed the 4 hi to try the 4x4 and the light just flashed then went back to 2 hi. I hit 4 lo and heard it engage then the lights went out on the switch. Now the switch does nothing and the front diff is engaged. The transfercase is in high but I think 2 hi not 4 hi. I took out the 4wd fuse in the cab and also the atc fuse under the hood. Disconnected the battery for almost an hour today. Hooked it back up and the front is still engaged. My switches still do nothing. 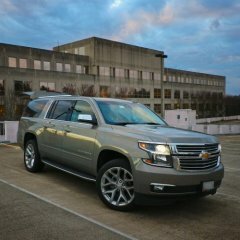 Hey Guys, I have a 2010 Chevrolet Tahoe PPV with a 5.3L LMG and a 6L80 Trans (MYC) looking to drop in a 6.2L L9H. As far as I understand it is a direct swap. Would I run in to any issues or codes as far as the L9H not having AFM/DOD? 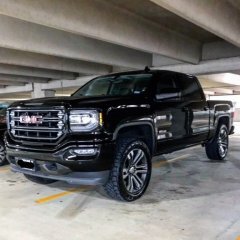 I plan on using the 5.3L PCM and having it re flashed to work with the 6.2 Or do I look for a L94 that has FlexFuel, VVT, AFM like the LMG does?